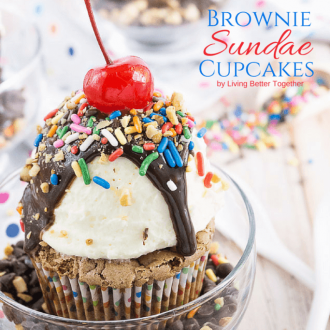 These Brownie Sundae Cupcakes bring together everything you love about the classic fudgy and creamy dessert without the bowl! In case you hadn’t already noticed, I kind of love celebrating! I mean, who doesn’t right? It’s the perfect excuse to play and eat sweet treats! In real life, these cupcakes will be used for celebrating my brother-in-law’s high school graduation next weekend and here on the blog we’re celebrating Samantha from FIVEHeartHOME‘s 2nd Blogiversary! 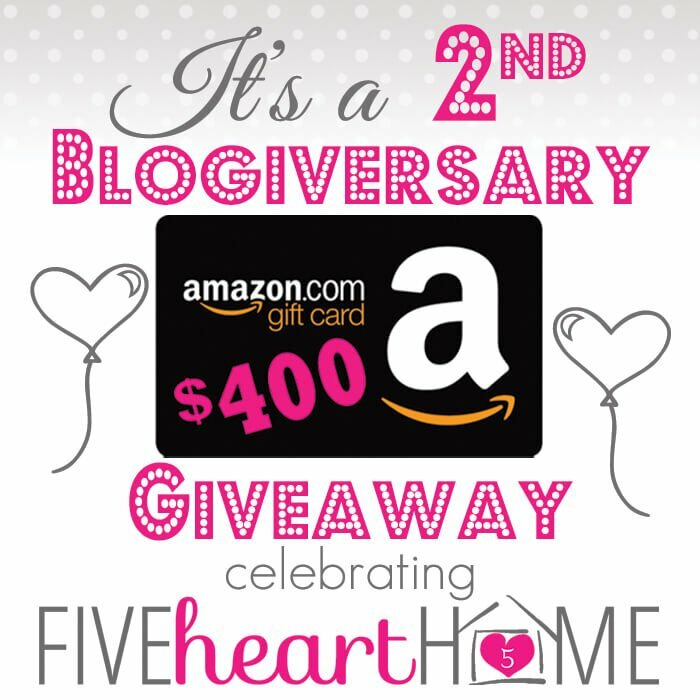 Did I mention we’re giving one of you a $400 Amazon e-Gift Card? Yup, that’s right, one more thing to celebrate! Alright, alright, alright! Super exciting, I know, but first, let’s talk about the goods. 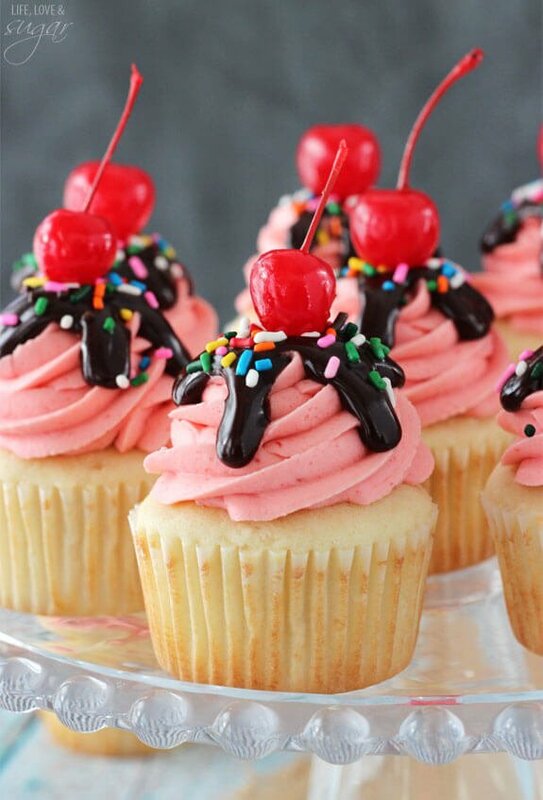 Obviously, I’m talking about these cupcakes. 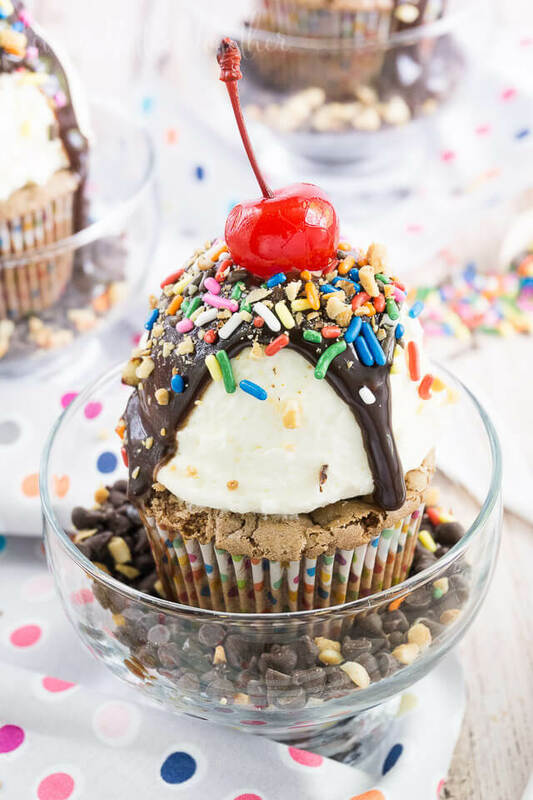 A simple 6-ingredient brownie base, topped with a whipped vanilla frosting and finished off with whatever you normally put on your decadent sundaes – sprinkles, nuts, cherries, hot fudge, caramel – you want it… ADD IT! 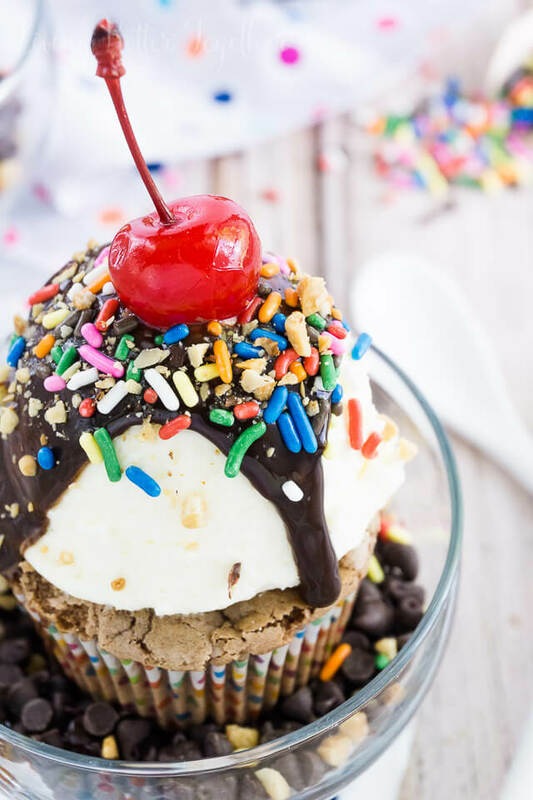 Okay, so there is one basic sundae ingredient that’s missing: ice cream. 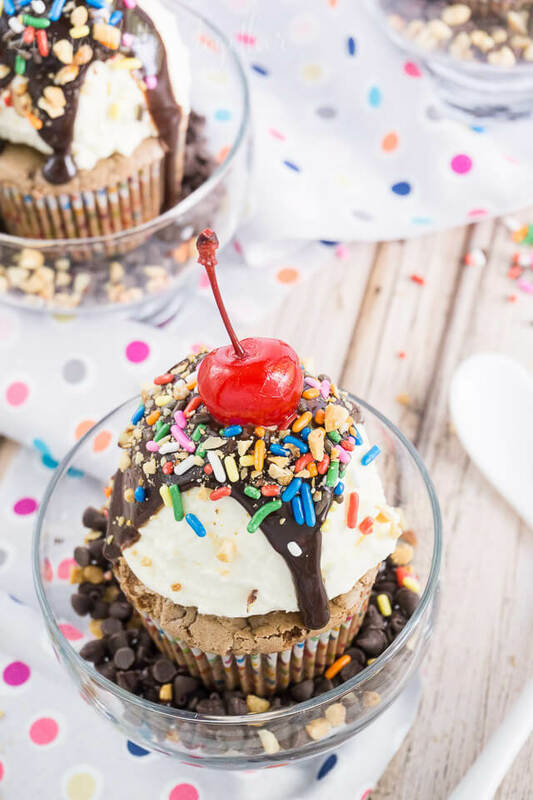 The frosting kind of took it’s place, but that doesn’t mean you can’t unwrap your darling cupcake and pop it in a bowl with your favorite flavor of churned goodness. 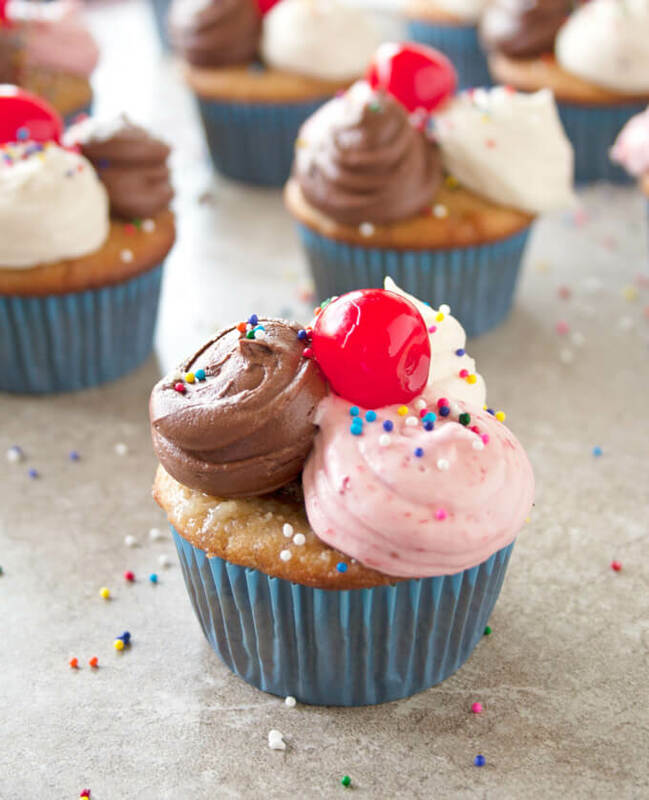 That’s what makes these cupcakes perfect for any celebratory occasion, they’re easy and you can customize them to your liking! Want chocolate frosting? Change our the vanilla pudding for chocolate. Don’t want frosting at all? Take that hot brownie and scoop some cold and creamy ice cream on it! The possibilities are limitless! Now go enter for your chance to win that Amazon e-Gift Card below! 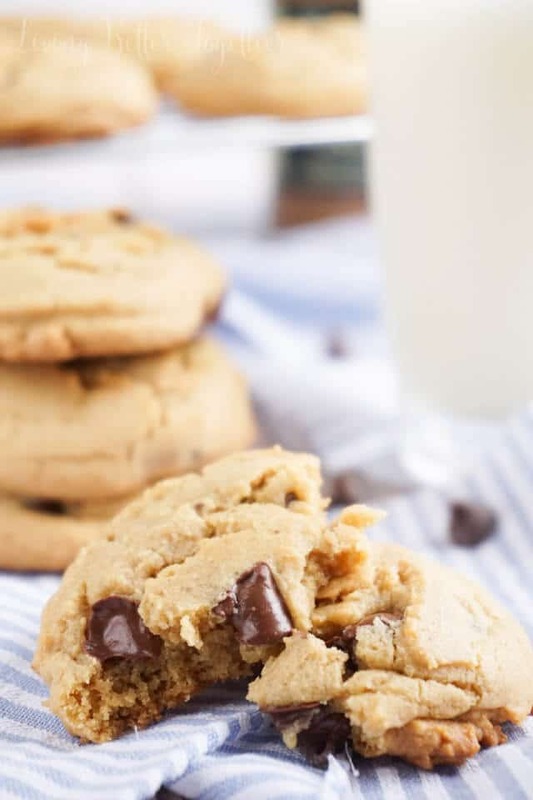 In a large microwave-safe bowl, combine chocolate chips and butter. Microwave on high on 30 second intervals, stirring in between until completely melted and smooth. In a separate bowl, whisk together eggs, sugar, and vanilla until well mixed. Slowly add egg mix to the chocolate mix, whisking well. Slowly add in flour and mix until smooth. Add batter to cupcake liners, filling them about 2/3 full. Bake for 15-20 minutes, until toothpick comes clean. Let cool in pan for 10 minutes before transferring to a cooling rack. Add ingredients to a large bowl or stand mixer and beat on medium-high speed with whisk attachments until light and fluffy. 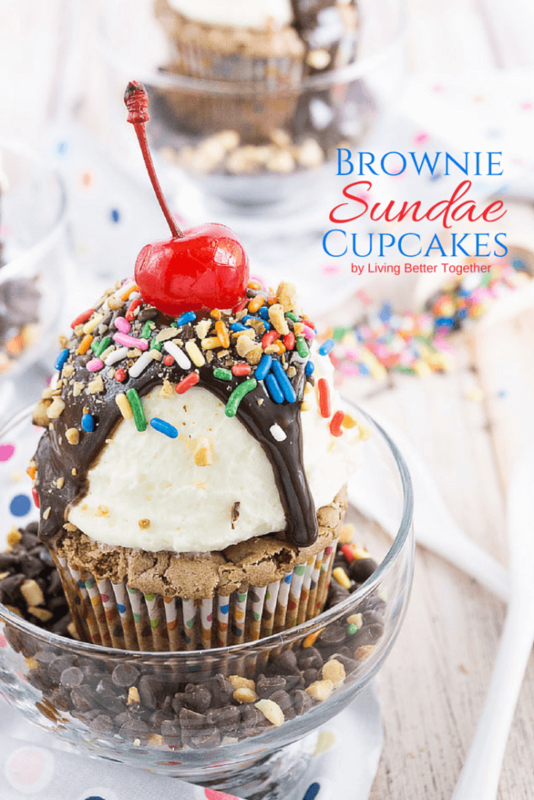 Use an ice cream scoop to scoop the frosting onto the cooled brownies. 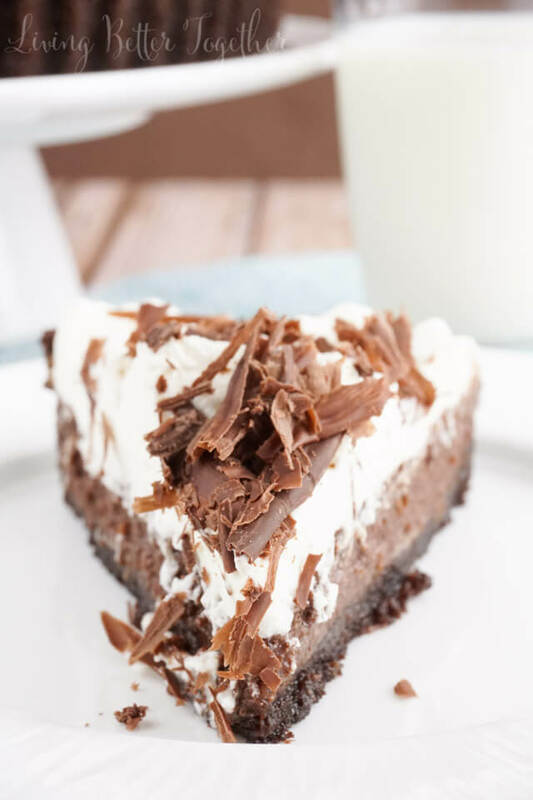 This recipe makes a lot of frosting due to filling the ice cream scoop, if you want to do a basic piping, use just 2 cups heave cream, 1/2 cup confectioner's sugar and 1/3 cup pudding mix.